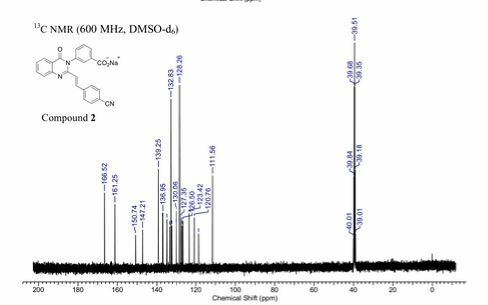 1H NMR (500 MHz, DMSO-d6) δ 4.32 (s, 1H), 6.34 (d, J = 15.55 Hz, 1H), 7.35 (d, J = 8.37 Hz, 2H), 7.44 (d, J = 8.37 Hz, 2H), 7.49 (d, J = 7.58 Hz, 1H), 7.55 (t, J = 7.98 Hz, 1H), 7.58 (t, J = 7.78 Hz, 1H), 7.78 (d, J = 8.17 Hz, 1H), 7.87 (m, 3H), 8.05 (d, J = 7.78 Hz, 1H), 8.13 (d, J = 7.98 Hz, 1H). 13C NMR (126 MHz, DMSO-d6) δ 82.70, 83.24, 120.66, 121.04, 122.84, 126.51, 126.81, 127.31, 127.83, 129.98, 130.12, 132.33, 132.39, 133.49, 134.90, 135.21, 137.21, 137.99, 147.36, 151.04, 161.37, 166.58. HRMS (m/z): [M + H]+, calcd for C25H17N2O3, 393.1234; found, 393.1250. HRMS (m/z): [M + Na]+, calcd for C25H16N2NaO3, 415.1053; found, 415.1054. The emergence of resistance to antibiotics over the past few decades has created a state of crisis in the treatment of bacterial infections.Over the years, β-lactams were the antibiotics of choice for treatment of S. aureus infections. However, these agents faced obsolescence with the emergence of methicillin-resistant S. aureus (MRSA). Presently, vancomycin, daptomycin, linezolid, or ceftaroline are used for treatment of MRSA infections, although only linezolid can be dosed orally. Resistance to all four has emerged. Thus, new anti-MRSA antibiotics are sought, especially agents that are orally bioavailable. a new antibiotic (E)-3-(3-carboxyphenyl)-2-(4-cyanostyryl)quinazolin-4(3H)–one, with potent activity against S. aureus, including MRSA. We document that quinazolinones of our design are inhibitors of cell-wall biosynthesis in S. aureus and do so by binding to dd-transpeptidases involved in cross-linking of the cell wall. quinazolinones possess activity in vivo and are orally bioavailable. This antibiotic holds promise in treating difficult infections by MRSA. wherein each of the variables are as defined for one or more of the formulas described herein, such as Formula (A). Chemistry. Organic reagents and solvents were purchased from Sigma- Aldrich. lH and 13C NMR spectra were recorded on a Varian INOVA-500. High-resolution mass spectra were obtained using a Bruker micrOTOF/Q2 mass spectrometer. 2-Methyl-4H-benzo[</| [l,3]oxazin-4-one (3). Anthranilic acid (20 g, 146 mmol) was dissolved in triethyl orthoacetate (45 mL, 245 mmol) and refluxed for 2 h. The reaction mixture was cooled on ice for 4 h to crystallize the intermediate. The resulting crystals were filtered and washed with hexanes to give 3 (17 g, 72% yield). lH NMR (500 MHz, CDC13) δ 2.47 (s, 3H), 7.50 (t, J= 7.38 Hz, 1H), 7.54 (d, J = 7.98 Hz, 1H), 7.80 (t, J= 7.18 Hz, 1H), 8.18 (d, J= 7.78 Hz, 1H). 13C NMR (126 MHz, CDCI3) δ 21.59, 1 16.84, 126.59, 128.42, 128.66, 136.77, 146.61, 159.89, 160.45. HRMS (m/z): [M + H]+, calcd for C9H8NO2, 162.0550; found , 162.0555. 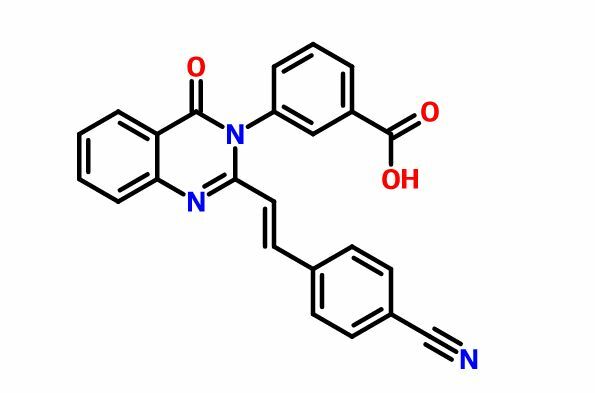 Sodium (£‘)-3-(3-carboxyphenyl)-2-(4-cyanostyryl)quinazolin-4(3H)-one (2). Compound 4 (1.0 g, 3.6 mmol) and 4-formylbenzonitrile (0.56 g, 4.3 mmol) were suspended in glacial acetic acid (5 mL, 87 mmol), a suspension that dissolved upon heating. The reaction was refluxed for 18 h and 5 mL water was added to the cooled reaction mixture. The resulting precipitate was filtered and washed with water, followed by cold ethanol and hexanes to afford the carboxylic acid (0.77g, 75% yield). HRMS (m/z): [M + H]+, calcd for C24H16N3O3, 394.1 186; found 394.1214. The carboxylic acid (0.45 g, 1.1 mmol) was dissolved in hot ethanol, to which sodium 2-ethylhexanoate (0.28 g, 1.7 mmol) was added. The reaction mixture was stirred on ice for 2 h. The precipitate was filtered and washed with cold ethanol. The product was obtained by dissolving the precipitate in about 5 mL of water and subsequent lyophilization of the solution to give 2 as the sodium salt (0.4 g, 85% yield). 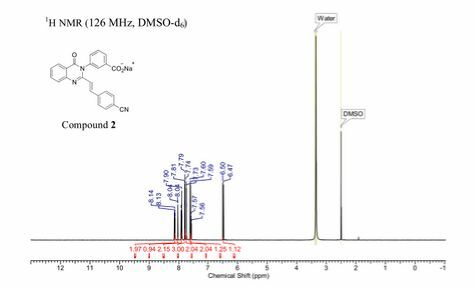 ¾ NMR (500 MHz, DMSO- de) δ 6.47 (d, J= 15.55 Hz, 1H), 7.59 (m, 3H), 7.74 (d, J= 5.38 Hz, 2H), 7.79 (m, 3H), 7.91 (m, 2H), 8.05 (s, 1H), 8.14 (d, J= 7.78 Hz, 2H). 13C NMR (126 MHz, DMSO-de) δ 11 1.56, 1 18.61, 120.76, 123.42, 126.50, 127.01, 127.35, 128.26, 129.99, 130.06, 130.12, 132.33, 132.83, 133.46, 134.89, 136.95, 137.03, 139.25, 147.21, 150.74, 161.25, 166.52. HRMS (m/z): [M + H]+, calcd for C24Hi5N3NaO3, 416.1006; found, 416.0987. *S.M. : e-mail, mobashery@nd.edu; phone, 574-631-2933., *M.C. 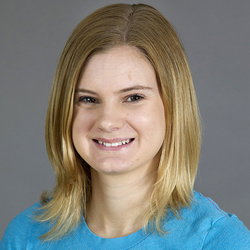 : e-mail, mchang@nd.edu; phone, 574-631-2965. The Mobashery research program integrates computation, biochemistry, molecular biology, and the organic synthesis of medically important molecules. Bringing together these different disciplines is required to produce both scientific and medical advances for very difficult, but critically important clinical problems. By DR ANTHONY MELVIN CRASTO Ph.D in Preclinical drugs on May 6, 2016 .